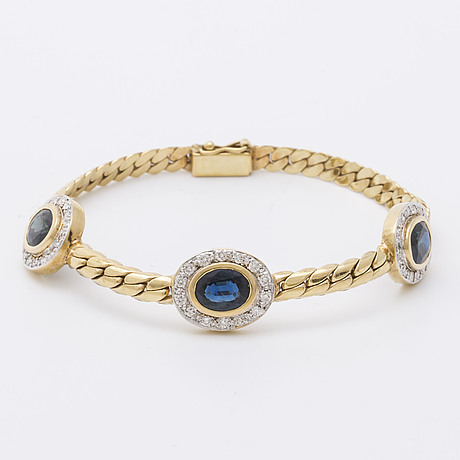 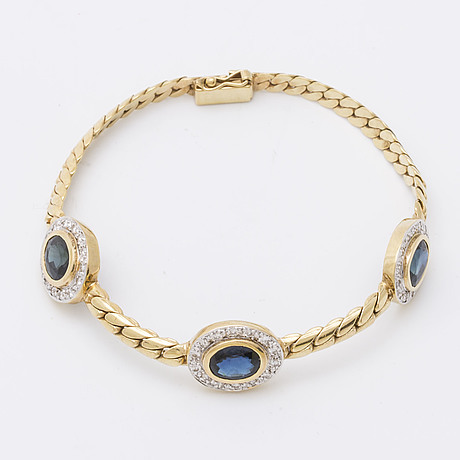 SAPPHIRE BRACELET 18K gold w 3 sapphires and brilliant-cut diamonds 0,45 ct engraved. 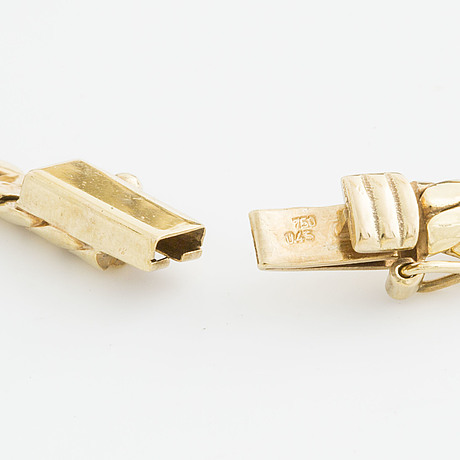 Total weight approx 17 g. Length approx 17 cm. 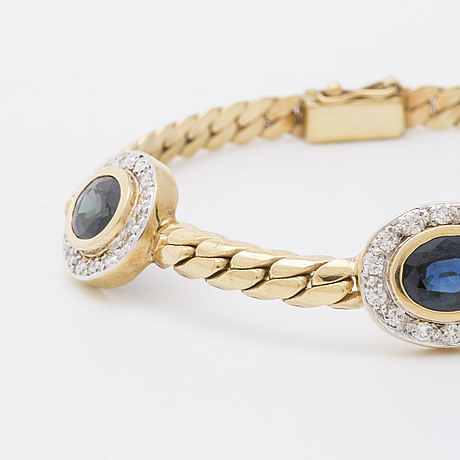 Sapphire and brilliant-cut diamonds approx 12 x 14 mm.